Morgan 2's Story . 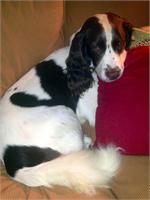 . .
Morgan was found as a stray in West Virginia by some nice folks who run a grooming facility. They contacted MAESSR for help in placing this cutie pie so that they could make room to help other strays. Accolades abound when speaking about Morgan! Besides being adorable and very sweet, his foster families say that he is friendly, fun, and affectionate. He has been an easy dog to foster since he is so low keyed and loving that he is a joy to have around. Morgan has perfect house manners so someone must have taken the time to train him before he became a stray. Housetrained and trustworthy, he has not needed crating (although he is crate trained) and is allowed full roam in his foster home. 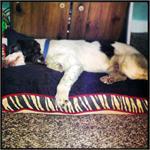 At night he sleeps soundly on a dog bed beside his foster parents’ bed. 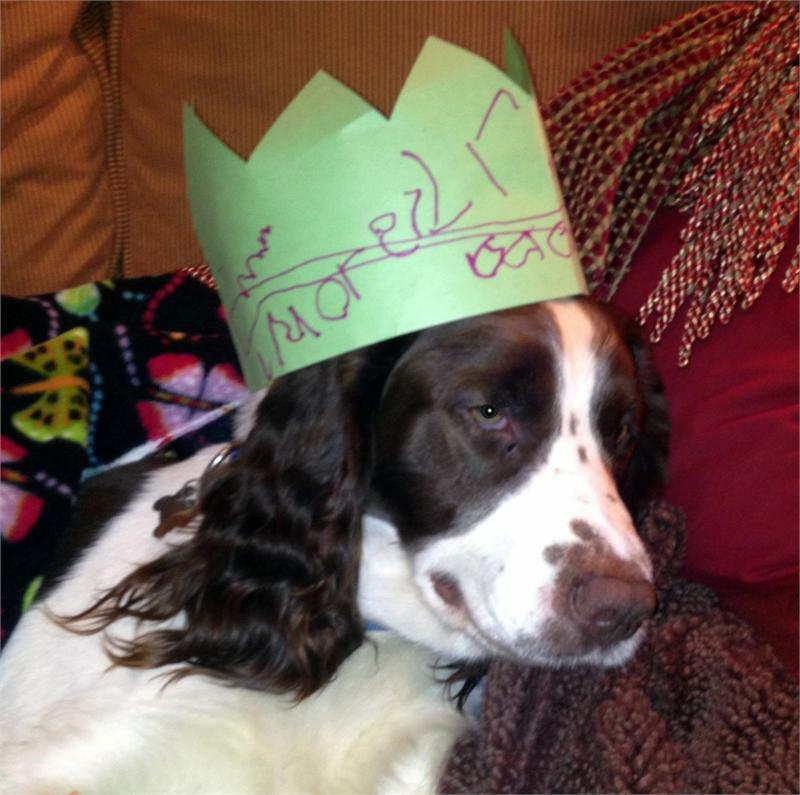 In his foster home, he has many resident Springers and foster dogs to play with and he gets along well with all. In his West Virginia foster home, he reportedly got along well with their cats, too. A quick learner, he is expanding his command repertoire beyond “sit” and “high five.” Both he and his people enjoy going on walks – his people especially since he does not pull on the leash. Good boy, Morgan! He also is great riding shotgun in the car. You could not ask for a sweeter, nicer companion than Morgan!